Q.55. Can gold and silver coins be covered under insurance? Ans. Yes, these can be covered. Include details in the list and avoid the mistake of underinsurance. Q.56. We want Gold and silver coins to be covered under the policy. How its valuation is to be done? Ans. If the value is large then take valuation report from the jeweler. Q.57. If my mobile is spoiled due to water seepage, can I lodge claim? Ans. Generally mobile phone is not covered under home insurance. It will not be paid. Q.58. If my refrigerator compressor is burnt due to low voltage? Will its compressor replacement be paid by the insurance company? Ans. 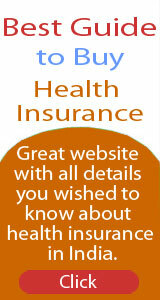 Yes, it will be covered provided it is insured under break down policy. No, if it is covered under normal policy. Q.59. Our refrigerator is 20 years old .At what rate it should be insured? Ans. 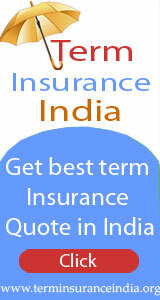 You can insure it for nominal sum say Rs.2000. Do not insure it for original price at which you bought it 20 years back as you will be paid claim at present market price or depreciated price which is Rs 2000 only –if it is in working order. Q.60. What is the last depreciated value of my refrigerator if it is 7 years old? Ans. Take it Rs.2000 or so. Not more than this. Q.61. My father gifted me a painting by M.F. Hussain 20 years ago and it must be very valuable now. How can I insure it? Ans. Get the painting valued by a valuer (on the approved list of Insurance Company and get it insured. Contact good Insurance Brokerage Firm (Ria Insurance Brokers Pvt. Ltd – ria@surekhae.com) and they can advice you. A word of caution – you have to put in effort to get this policy. It is not easy to buy.